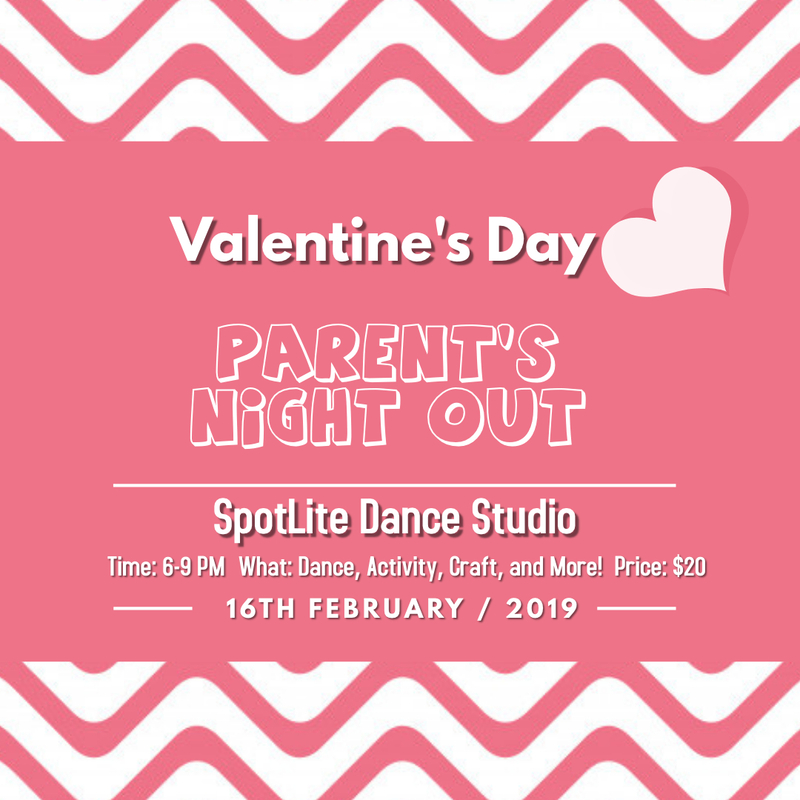 Parent’s Night Out | Spotlite Dance Studio, LLC. Are you in need of a kid free night? Maybe it’s time for a long overdue date night? We are here to help!! 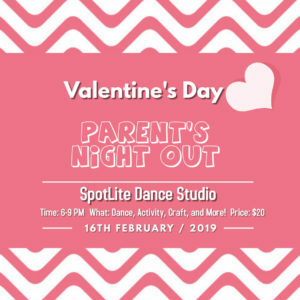 Bring your kids to SpotLite Dance Studio Valentine’s Parent’s Night Out! We will provide a fun night full of games, crafts, pizza and even a dance party! $5 off your price if you bring a non-Spotlite enrolled friend! Call 615-459-5200 or email office@spotlitedance.net to Sign Up!